The first point in any decision to change is a realization or recognition there is a need; that is to say, we have deemed our Present Condition to be Unacceptable. Ideally we have quantifiable measurements, and that may not be the case. We then envision a Future Condition which is forecast to be desirable. Innovation which leads to Transformation. Transformation: Resulting in new composition or structure; thorough and dynamic. Joseph Pine II in his 1999 book “The Experience Economy” describes the transformation of the economy from: Agrarian to Commodity to Service to Experience. The logic and support is quite clear and leads us to understand economies are dynamic. I was able to hear him speak a number of years ago where he noted his understanding of the next stage in the evolution of the economy. Pine described the Transformation Economy. In the Experience Economy a vacation to Paradise Island in the Bahamas is exactly what it is intended to be: a wonderful experience. The time and expense meet the requirements of our expectations; however, we exit the same as we entered. Two weeks in the Colorado mountains at a retreat that focuses on exercise, diet, and mental health is intended to cause us to “take better care of ourselves” following that event – we anticipate a Transformation. Actual | Virtual – (Network involved). We accept the general need to change or become irrelevant. Adoption may be the course for organizations and individuals in most circumstances – applying “tried and true” methods to achieve the desired condition. When is Innovation the better choice? Adopt to Change and Innovate to Transform; Correct or other categories? What are our Spheres of Influence? Is there a way to determine if Innovation is better that Adoption? Can we utilize Pine’s Transformation Economy concept to build a biz model? What happens when the Desired State forecast proves inaccurate? Thank you for the opportunity to share these thoughts and discuss them with each of you! Insights flow past us, faster than we dare notice; what are we leaving behind? CHARLOTTE, NC. April 2014, by Chris Jones. Classic innovation practice tells us to catalog and rank our ideas. It’s a time tested way to surface newer, more creative means for getting a job done. It’s a sensible approach. The big ideas should, by all rights, float to the top. But what happens when the currents of change are strong? 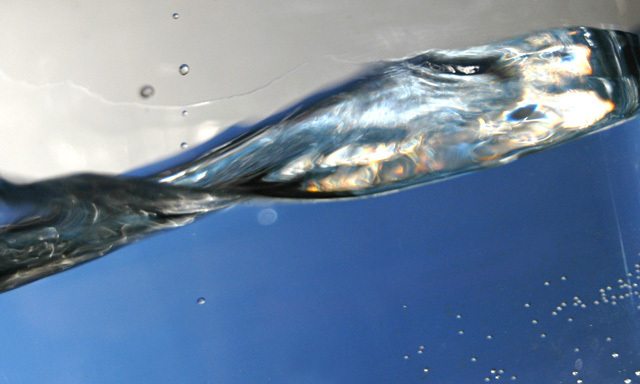 What if the rules for success become fluid? At a minimum, we’ll struggle to keep our bearings. At worst, we’ll lose momentum, leave our best ideas stranded, and fail to achieve our innovation targets. I’ve been reflecting on an alternative approach to learning and innovating that is at once more simplistic and more complex. In a word, it involves “flow” .. and it starts with suspending judgment, refocusing, and listening. This approach allows raw insights, not shrink-wrapped ideas, to flood our thinking spaces, using notions like cross-over and edge-exploration to mix things up. Patterns replace processes. Simple rules replace best practices. And we change the currency. Insights are the gold standard for innovation and creative learning, not ideas. The ability of the human mind to perceive and solve problems is vast. 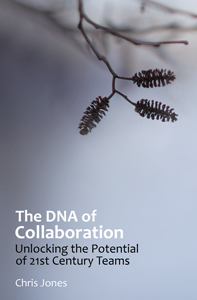 Effective collaboration serves as a multiplier. Put some of those strong minds together into small teams. Help those thinkers to focus and frame and communicate and synthesize in real time. Pay attention to roles. Seed the group with an iterative, adaptive framing model. Then stand back. Powerful things begin to happen. New ideas emerge; we find we’re innovating in the moment. Of course, the modern organization provides a host of formiddable barriers to this. These include all those cultures, behaviors and silos that seek to control. We find orgs that are consumed by process or paralyzed by aversion to risk. And at times, we aren’t helpful: our hyper-structured methodologies serve to put our best thinking into boxes. No surprise that our latest innovations seem like breakthrough candidates from the past: we use the past to classify them. Q1. How do ideas differ from insights, and why does it matter? Q2. In terms of innovation process, is flow a better metaphor than structure? Q3. 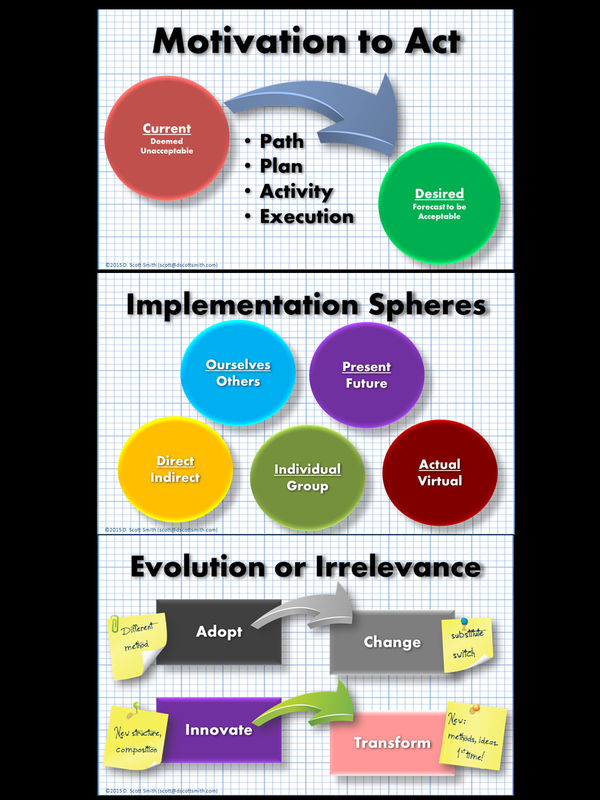 When does collaborative innovation or OI move of us toward flow, and when does it not? Q4. Can “flow of insight” be viable for driving new thinking re: new capabilities? Let’s discuss these questions at #INNOCHAT on Thursday 4/17 at 12pm ET. I look forward to exchanging insights with you. Maybe we’ll make some waves. I hope to see you online!